Sure… that’s Conservative, if you’re a Liberal! 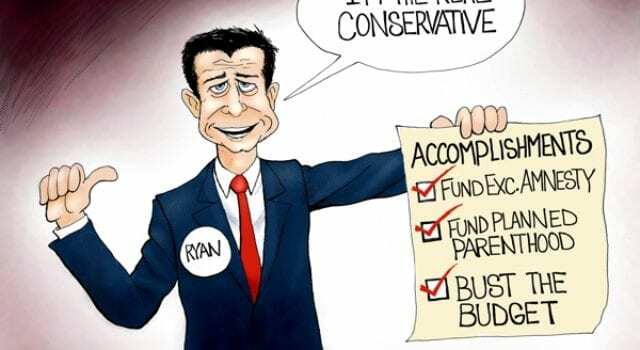 Speaker of the House, Paul Ryan, a conservative? Funds executive amnesty, funds Planned Parenthood, and continues spending out of control. Sure… that’s Conservative, if you’re a Liberal! Previous articleWas this TOO edgy for high school theater?